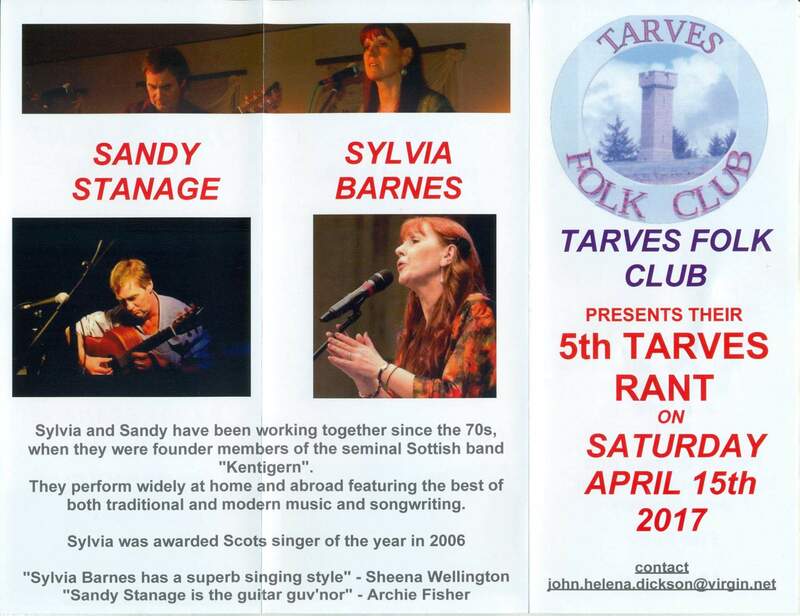 The Tarves Folk Club are holding their annual, now fifth, TARVES RANT. 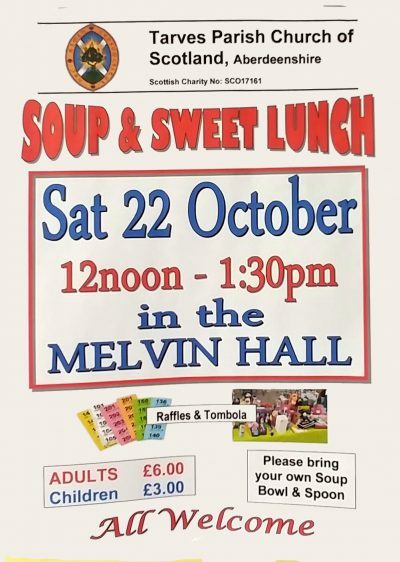 An opportunity for local musicians to get to gather and learn and perform with a concert on Saturday evening in the Melvin Hall. 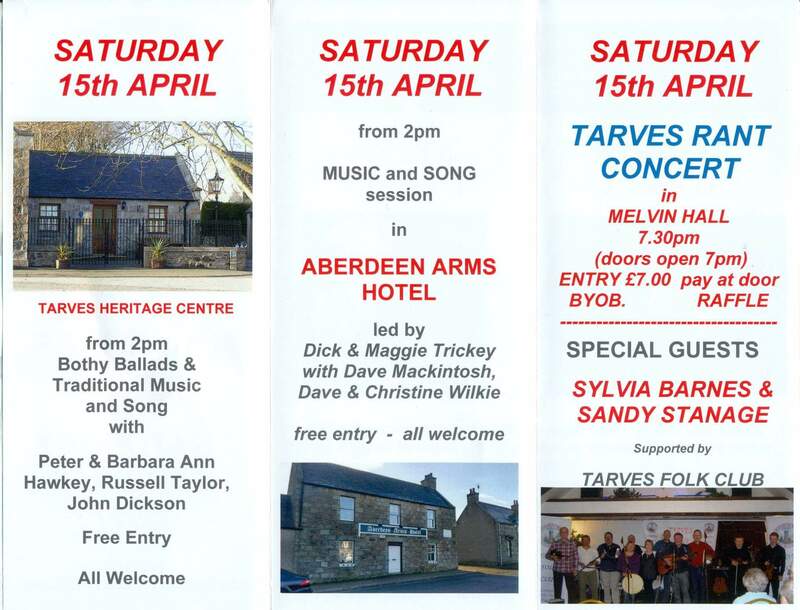 Two free daytime sessions in the Heritage Centre and later in the Aberdeen Arms. 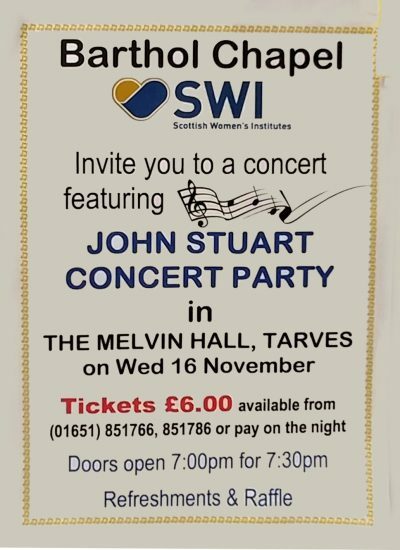 Barthol Chapel Scottish Womens Institute warmly invite you to a concert party at the Melvin Hall on Wednesday 16th November at 7pm. 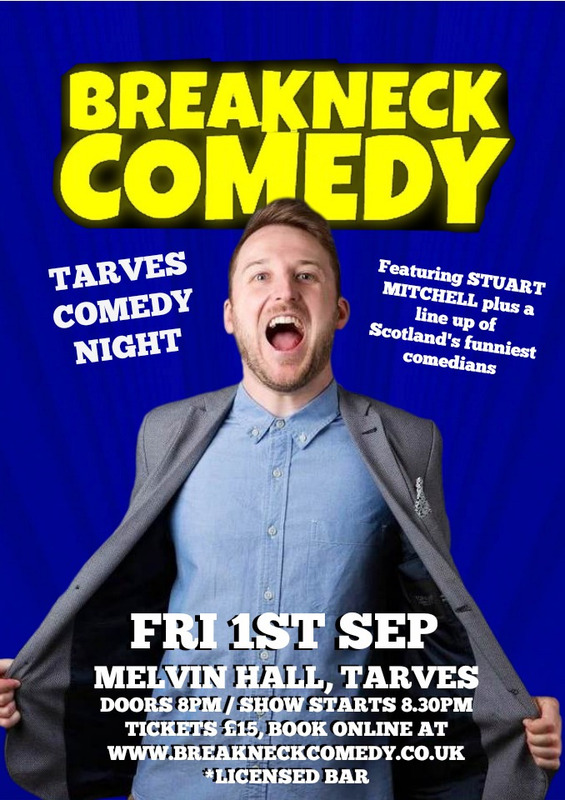 An evening of music and song with refreshements and raffle. 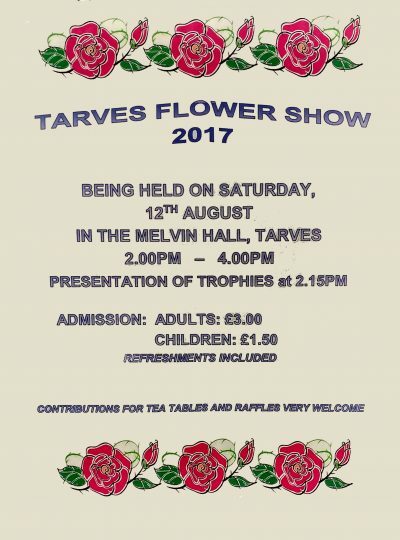 All users of the Melvin Hall and Tarves residents are invited to the annual meeting. 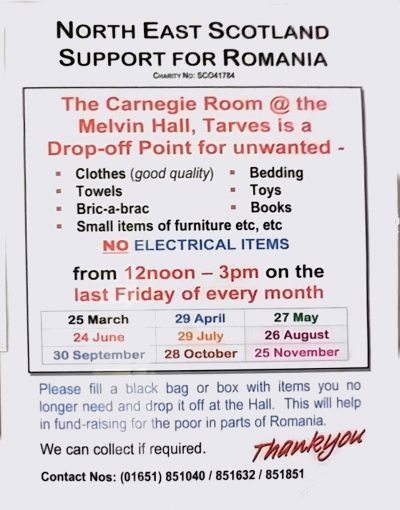 This meeting is decide the future plans and to appoint a committee to run the hall. 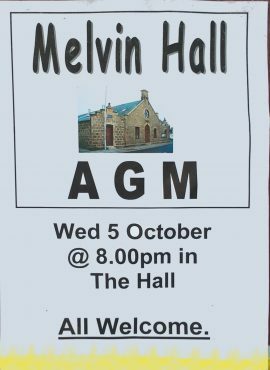 The hall is a trust and its committee act to ensure the hall is well run and is financially sound.